The incoming governor on Thursday equated local efforts to regulate single-use plastic bags or fracking to forms of collectivism. Gov.-elect Greg Abbott on Thursday singled out local ordinances on single-use plastic bags, tree cutting and fracking as tantamount to turning the Lone Star State into California. As the Pace picante sauce spokesman might put it, "Get a rope." “We are forming a patchwork quilt of bans and rules and regulations that are eroding the Texas model,” Abbott said, adding for good measure that such regulations were "a form of collectivism." The comments, made to a policy conclave held by the free market-oriented think tank the Texas Public Policy Foundation, are interesting because they give a key early insight into how Abbott might navigate two tenets of conservative thought — private property rights and respect for local control — that at times run up against each other. Critics were quick to call Abbott hypocritical on the issue. Abbott did not include specifics on what he might like to see the Legislature do on the issue, but his comments made clear that he sees regulatory reform as a clear early priority of his tenure as governor. 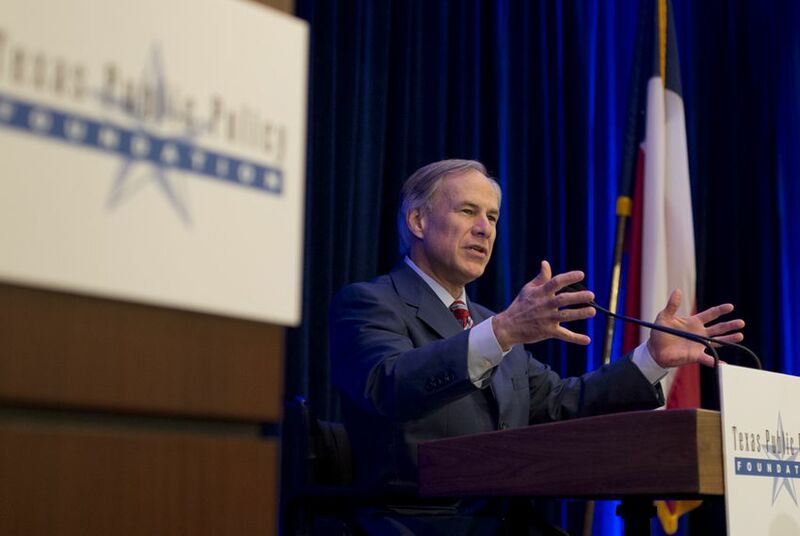 • The Texas Public Policy Foundation wraps up its three-day policy orientation with an appearance by Gov. Rick Perry at the closing keynote luncheon. • Gov.-elect Greg Abbott will be the featured speaker at the Fort Bend GOP 2015 Lincoln-Reagan Dinner at the Safari Texas Ranch in Richmond. "Texas is being California-ized and you may not even be noticing it."